This FREE workshop just for YOUths is organised by youths. It focuses on motivating you to break out of your shell to care for the marine environment! Whether you’re completely new to marine issues and looking for inspiration or someone already working on this but looking for fresh new ideas and partners, this workshop is for you! 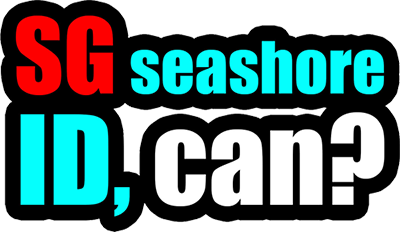 The Workshop is a great way to meet like-minded youths and get to know some youths already active in the marine community. 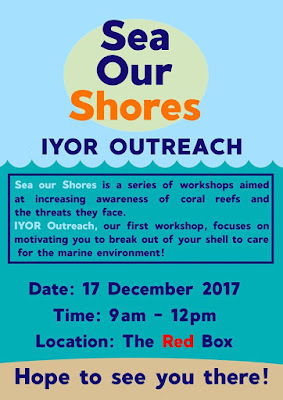 This workshop is organised by youths of Lepak In SG for International Year of the Reef 2018. 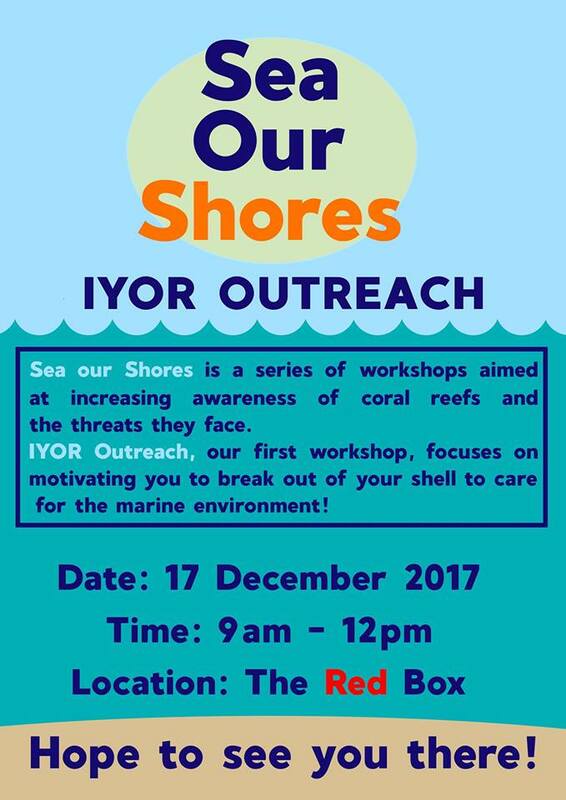 The IYOR Outreach workshop aims to inspire youths to take action on outreach, and engage in conversation for our shores through a fun workshop that explores possibilities. It also aims to take a step towards creating a youth network to inspire one another to initiate action in the environmental scene. Dr Neo Mei Lin, lead on IYOR outreach, will kick off the Workshop by giving tips and sharing her experiences on public engagement and science communications, and the goals for outreach during IYOR 2018. Places are limited! Register online now.